We have a fun Cookies in a Jar Recipe for you! How about some Cranberry White Chocolate Oatmeal cookies! Doesn’t that sound amazing!?!! “In a Jar” recipes are perfect for a fun and unique gift idea especially for that hard to buy for person! Hey, everyone loves cookies! You may just want to buy a box of Mason jars to get a deal on them and create amazing gifts for everyone! I used some wired ribbon around this jar to help the bow keep it’s shape. I love wired ribbon! 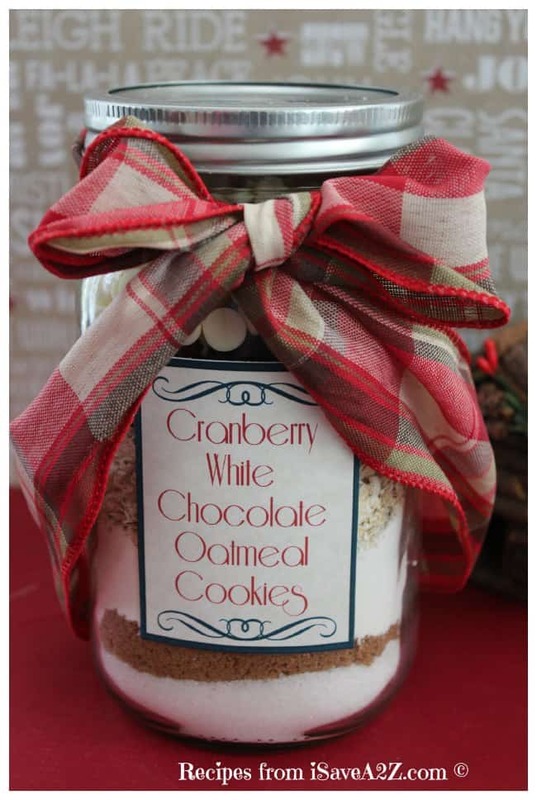 I just ordered this wired Burlap Craft Ribbon for my next set of Cookies in a Jar Gifts too! I love the Burlap! Another favorite ribbon is this wired Gold Sheer ribbon because it goes with just about anything and it’s elegant too! Here’s another jar decorating idea. If you don’t like the ribbon, you could always cut a square piece of your favorite fabric and place it over the top of the jar just before you attach the lid. This is adorable too. I like to cut the fabric with decorative edge scissors like these to give it an extra special look. Place sugar in the jar. Tamp down to create clean layers. 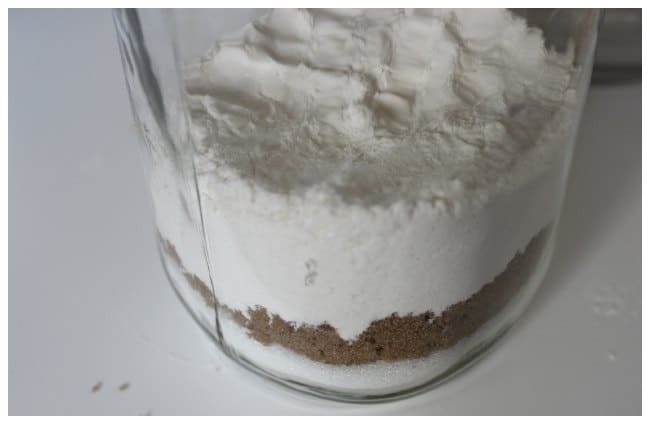 Place brown sugar in the jar. 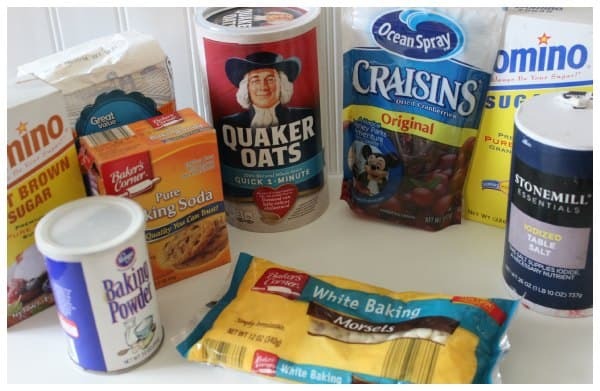 Combine flour, baking soda, baking powder and salt in a separate bowl and mix. Add to jar and tamp down. Layer in the oats, cranberries, and white chocolate chips, tamping between layers. Seal with lid and decorate. Be sure to grab our Free Cookies in a Jar Recipe labels here. These labels include the baking instructions and are perfect for gift giving! By Jennifer on November 25, 2015 Chocolate Chip, Crafts, Desserts, Popular Posts, Recipes.